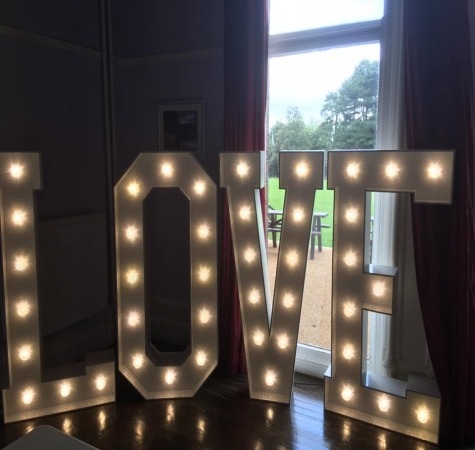 As a Middlesbrough based mobile company, Magnum Entertainment are able to provide the giant letters of L, O, V, and E, as well as giving you the option to hire a fantastic photo booth to capture images and special moments of your magical day. Our stunning wedding curtain and top table skirts are the perfect addition to your wedding day, with the backdrop and top table skirts flowing beautifully together enhancing some of the best natural images you'll get throughout the day. Magnum Entertainment can add the beautiful "final touches" whether it to be to create the perfect picture moment with our confetti canons or "dancing on the cloud" effect through to making it snow for an authentic winter wonderland wedding. 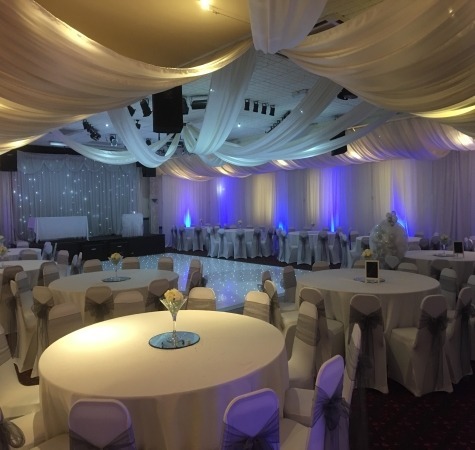 Magnum Entertainment can completely transform your wedding venue with our stunning crisp white venue draping, whether it be a single feature wall our a full venue transformation our venue drapes are guaranteed to create that "WOW" factor. Magnum can provide twinkly dance floors tailored to your size/requirements and to suit all budgets. Magnum Entertainment can come to you and provide you with the perfect setting to mark your special day. 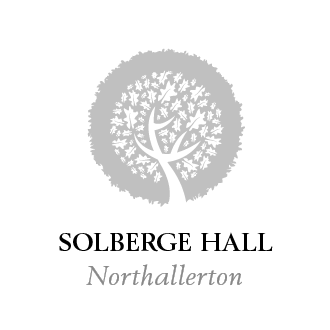 With a wealth of experience and knowledge Magnum Entertainment can provide the right DJ for your wedding along with a range of equipment to suit your preferences and requirements with access to our online playlist generator as standard. 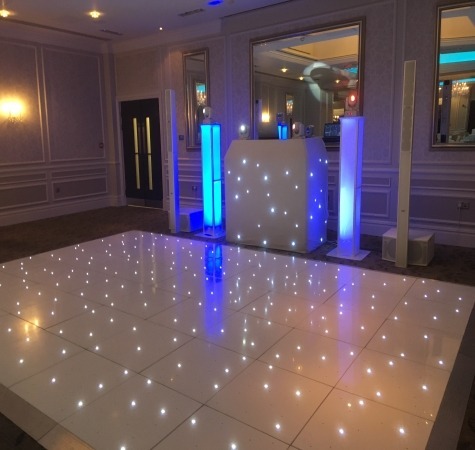 Designed for weddings and corporate events, starlit dancefloors and aisles add a touch of class and the perfect amount of elegance to your event. 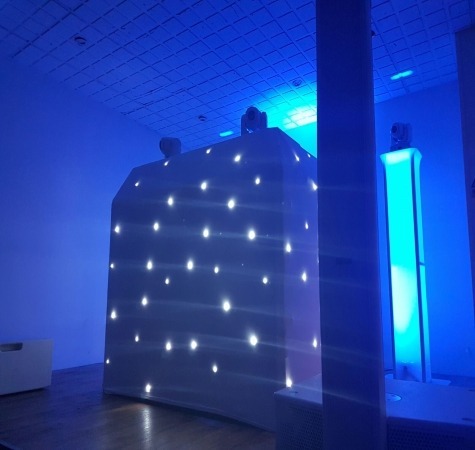 Magnum Entertainments premium discos create a fantastic focal point to any event complimented by our experienced knowledgeable DJ’s we’ll have your guests dancing till they can dance no more! 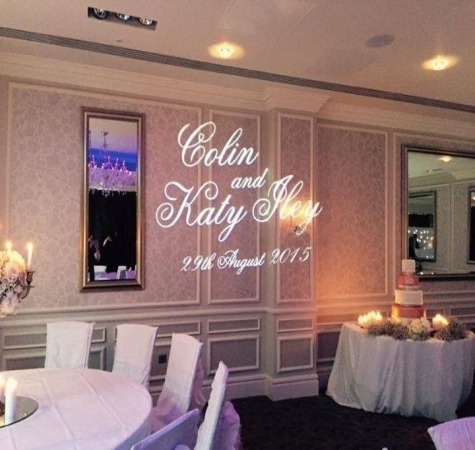 Add a truly custom made projection to wow your guests on your wedding day…. Giant LOVE Letters are a popular choice among couples looking to promote love on their wedding day. You can hire these from Magnum. Our top of the range fiber optic wedding curtains create the perfect backdrop for your wedding ceremony and behind your top table. Our elegant draping can transform any venue of size, it can even be used to created wedding ceremony rooms. 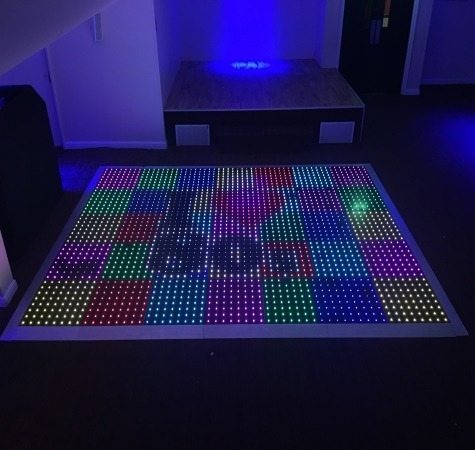 If you are looking for a dance floor with a difference then our Interactive dance floor is floor for you. Our top of the range photo booths are bursting with high end technology give you perfect prints every time. 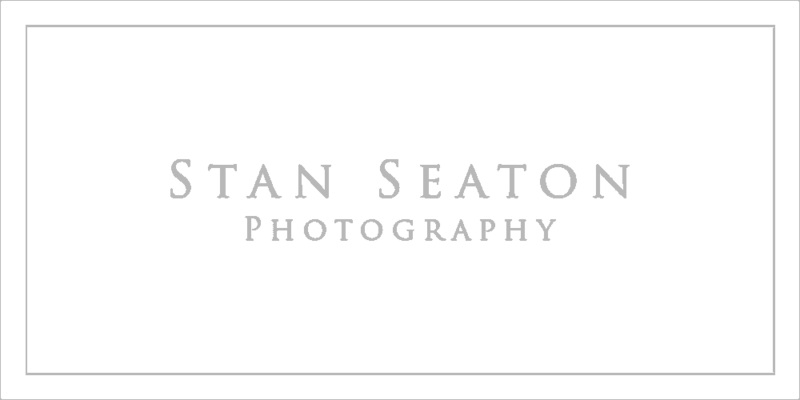 Magnum Entertainment are a Middlesbrough based company offering Wedding Entertainment services throughout Middlesbrough, Durham, Darlington and the surrounding North East areas. 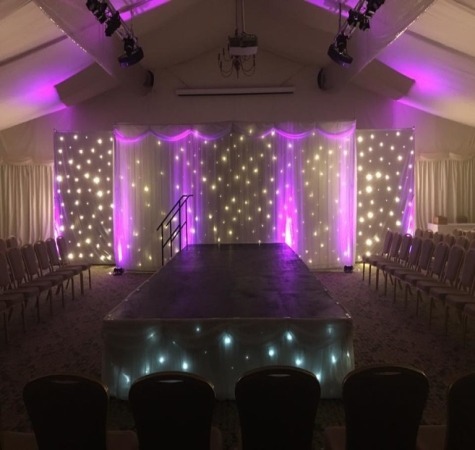 Having covered some of the finest wedding venues in the North East, we are recognised across the region, and are sure many of the venues which we have worked at will remember the name Magnum for years to come. As a team of dedicated entertainment enthusiasts, Magnum can enhance your already wonderful day and help you to create the WOW factor. Magnum Entertainment is where you will find a variety of entertainment and wedding services brought to you for a memorable celebration ranging from weddings, black tie events, corporate events, engagements, birthday parties, anniversaries and children’s entertainment in fact just about any occasion!